Please see the complete list of Excel workbooks on the left! Construction estimating / cost take off workbooks created in MS Excel. Get these excel templates here online. Each spreadsheet template has been created based on requests submitted to us. Over all scopes projects take-offs and costing spreadsheets available for your review. Download and use each sheet for your project today. See the full list of links on the left and see which sheet will work for you. Take time to look over each microsoft office excel workbook that may fit your project needs. Each MS excel one is built for the scope of work listed. Take each sheet and change it to your needs each sheet is open for you to create, edit and change to your needs. From project tracking template to project management templates we are growing our list every few weeks to improve your opportunities to find template that will make you life easier. We are working to create software development tracking templates to help improve you productivity. We are starting with simple project tracking templates and will moving to more advanced over time. Construction project timeline templates are the backbone of most projects and they can be created with a number of key elements. We are looking how scheduling in construction management can be improved. We are creating project tracking forms that are easy to use and easy to find. 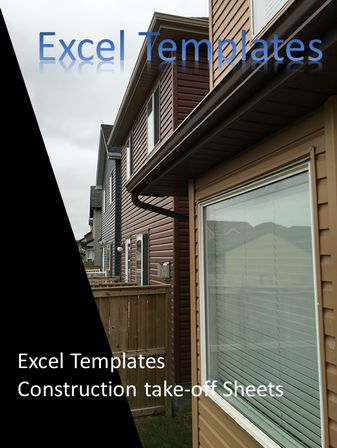 With your requests construction estimating spreadsheets templates will be created. There are many different ways building management templates can be created to provide for your needs based on your project and the client needs. Please let us know what take off form you are looking for. Please fill in the below form and we will see about adding it into our list of sheet. Contract documents include drawings, project manual (including general, supplementary and/or special conditions and specifications), addendum or modifications issued prior to proposal/ bidding and prepared by a design professional such as an architect. The general contractor may be the construction manager or construction manager at high risk. An architect is someone who plans, designs, and oversees the construction of buildings. To practice architecture means to provide services in connection with the design and construction of buildings and the space within the site surrounding the buildings, that have as their principal purpose human occupancy or use. Etymologically, architect derives from the Latin architectus, which derives from the Greek (arkhi-, chief + tekton, builder), i.e., chief builder. Professionally, an architect's decisions affect public safety, and thus an architect must undergo specialized training consisting of advanced education and a practicum (or internship) for practical experience to earn alicense to practice architecture. Practical, technical, and academic requirements for becoming an architect vary by jurisdiction (see below). The terms architect and architecture are also used in the disciplines of landscape architecture, naval architecture and often information technology (for example a network architect or software architect). In most jurisdictions, the professional and commercial uses of the terms "architect and landscape architect" are legally protected.